Dr. Riane Eisler’s work in launching the Caring Economics campaign possesses the potential to positively affect not only our economy, but all the elements that are defined as “caring or caregiving” in our American society today. As a graduate of the Caring Economics Leadership program and as health care provider, I can clearly see how Caring Economics = Caring Health Care. Let me explain how I see Caring Economics making an impact on American health care today, as a physical therapist and health care provider. According to the Physical Therapist Clinical Performance Instrument, put in place by the American Physical Therapy Association (APTA) for students of physical therapy (SPT), Promotion of Health and Wellness, and Prevention is listed as part of the skills category for physical therapists. Yet, the majority of physical therapist’s work occurs in “curative” or pathophysiology-based settings. Most physical therapists have little access to ‘fitness, wellness, and prevention’ populations. This means that most physical therapists work in treating injuries after they occur, rather than preventing them. In addition to preventive medicine, integrative mind-body therapies are used even less in medical settings. A market study performed by Yoga Journal in 2008 reported that a mere 6.5% of health care professionals recommend yoga to their patients.1 It is not surprising then that yoga, taught at a graduate level in medicine, has not yet been introduced into medical and allied health care curriculum in the US. 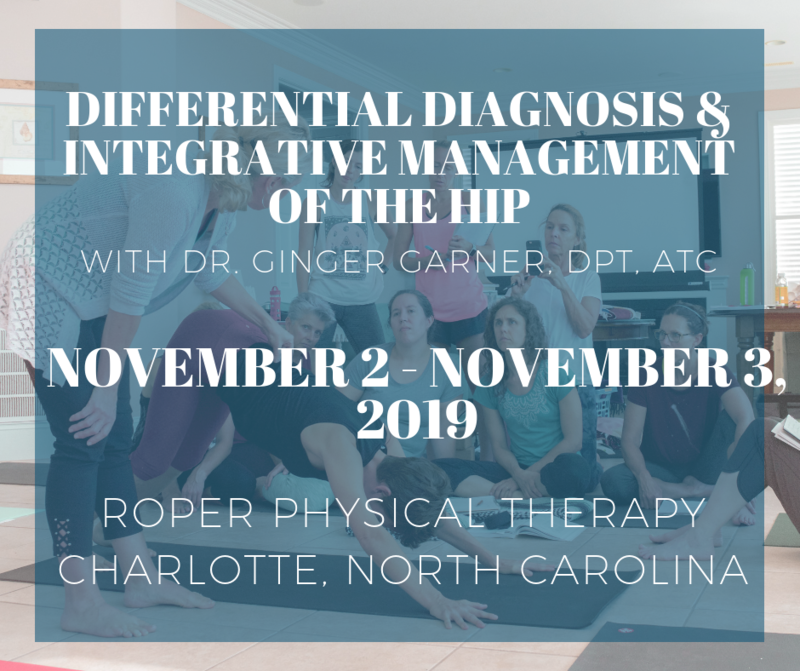 However, the landscape of physical therapy education is changing for physical therapy students this fall semester at a large US based university located in the Deep South. Yoga, and the growing body of evidence which supports its efficacy, is a powerful modality for healing that has until now, been relegated to the “Complementary and Alternative Medicine” category. This fall, the concept of “yoga as medicine” will be introduced in the first doctoral level allied health care program through the University of Mississippi Medical Center (UMC). The program will be taught using the Professional Yoga Therapy Method curriculum, an evidence-based graduate and post-graduate integrative medicine program. The PYT program was created to bring yoga to mainstream medicine, or the “frontlines” of medicine. In late August of 2012 I spoke at the 2nd Annual Mountain Pose Medicine and Yoga Symposium in Colorado, which was the first CME (continuing medical education) program where doctors were given CME credit to learn and practice yoga postures. During the symposium I gave a short series of lectures on how yoga can be safely prescribed in physical therapy in the area of orthopaedics and women’s health. The audience included physicians, nurses, and therapists of all kinds who are dedicated to improving health care in America today. Many of the health care providers there would describe themselves, myself included, as “Integrative practitioners.” Patient-centered health care is not a new term in the medical model, but if you asked most patients receiving health care they might say they don’t feel like they are the center of their medical care. Most patients I have interviewed state they feel ‘hurried, rushed,” and often downright “ignored or demeaned” by the current health care system. Health care professionals are often forced to see more patients in less time and as a result, burnout and reported job stress can be high while patient satisfaction is low. A September 2009 study in the journal of Physical Therapy reported that job stress is associated with poorer (patient) outcomes.2 This means that the higher the reported job stress, the worse the patient outcomes. In surveys of physical therapists, both focus groups and small-sample surveys report high levels of job stress. Burnout and work-related pain in the 2009 study were correlated with situations of low job control and high job demands. Other health care professions report similar findings on job stress. The good news is that yoga is supported as an effective means of stress management, and is also a low cost method for managing stress. Using yoga in medicine can create double the benefits. It can facilitate “caring health care” for patients while at the same time help providers take care of themselves and manage their job and life stress. Yoga used as medicine has long been used in patient-centered and patient-driven health care through using a “Biopsychosocial Model of Assessment.” This means that a provider who uses a yogic model will evaluate and prescribe care for you as a “whole” person and not just based on your medical diagnosis code. This notion of “holistic, compassionate care for health and well-being” is at the center of yoga’s philosophy. After studying yoga for 10 years while also completing degrees (BA) in athletic training and (MPT) physical therapy, as well as graduate studies in public health and physical therapy, I realized the postures and breath practice of ancient yoga needed a “scientific upgrade.” It took 10 more years to photograph and document a system of biomechanically sound “upgraded” yoga postures. That system now totals 15 graduate and post-graduate level modules, over 1000 photographic illustrations, and a 4 volume, 1500 page manual entitled the Professional Yoga Therapy Method. It is this program that will be a part of the first doctoral programming in using yoga as medicine in the United States. This is a big step in the right direction of putting the “care” back into health care. Cross-culturally educating health care professionals about mind-body medicine can influence creation of health care policy, especially in chronic pain and non-communicable disease populations. It can also have an impact on risk management by reducing health care costs and overhead operational expense, all of which can ultimately facilitate economic stability in the US. Teaching yoga as medicine at a graduate and post-graduate level to medical professionals in order to improve health care and conditions for health care workers is an action which is deliberately congruent with supporting Dr. Riane Eisler’s work in Caring Economics. The November 2012 slated date for launching doctoral programming in using yoga as medicine in the PYT Method at UMC hopefully marks the beginning of a new era in medical education. Doctoral students, as part of an elective course in specialty practices in PT, will be learning teachings in the PYT Method of using yoga in rehabilitative medicine. For over 10 years I have lectured across the United States to health care providers about using yoga and other mind-body therapies as medicine. Attendees at the 2nd Annual Mountain Pose Medicine and Yoga Symposium, which consisted of physicians, healthcare providers, and wellness enthusiasts, came to the symposium because they care a great deal about health care – for that of their patients and themselves. It was in speaking there that I was able to join my mission in affecting health care and policy with Dr. Eisler’s vision for Caring Economics in America. Imagine if your physician, nurse, therapist, or health care provider practiced and taught yoga postures, meditation, and breathing techniques that could instantly make an impact on your health – all without expense drugs, invasive or risky procedures, or costly equipment. What would that look like across America? How would that impact health care…your quality of life? Respect for the patient and focusing on whole-person care can be accomplished through the incorporation of mind-body therapies such as evidence based yoga. Health care professionals, specifically those in touch-based and high-contact care, such as physical therapy, occupational therapy, or nursing, can mutually benefit from the use of yoga in medicine as will their patients. As health care providers, we need to advocate for our patients to receive beneficial and scientifically proven mind-body therapies. As patients, we need to advocate for holistic, “whole-person,” care. We all deserve to have patient-centered care in an environment of mutual respect. Using mind-body therapies like yoga, and teaching our future doctors, nurses, and therapists how to practice and use them, can have an enormous impact in improving health care in America today. We can create a healthy dialogue in health care today and a partnership system, that Dr. Eisler is a proponent of in her book, Real Wealth of Nations, instead of the dominator-system which has historically dysregulated both economics and health care. Health care providers and consumers of health care can work to raise the bar of medical education in America How can you do this? • Ask questions. Don’t assume that “doctor knows best.” Educate yourself about integrative medicine and all therapies which will help you enjoy longevity and a high quality of life. • Seek out practitioners who use these holistic methods that joint the hands of east-west medicine. You can start by visiting www.professionalyogatherapy.org/FindATherapist to find a practitioner in your area who practices yoga as medicine. You can also visit www.iayt.org to learn more about yoga as therapy in general. • Support your local university by encouraging inclusion of medical yoga education in medical school and allied health care programs. Together we can improve health care for everyone. Through embracing mind-body integrative therapies such as yoga, we can advocate to receive an integrative, multi-disciplinary/team approach. In this way, we are empowering health care professionals (and ourselves) to be change agents for health care policy in the US. Together, we can put the ‘care’ back in health care. Ginger Garner is a physical therapist, author, and educator specializing in Integrative Medicine, as well as an activist for improving health care, especially for women, in the United States. She is a Certified Caring Economics Leader and can be found blogging regularly in support of women and mothers’ health at www.gingergarner.com. 1. “Yoga Journal releases 2008 ‘Yoga in America’ market study.” February 26, 2008.